The United States Bankruptcy Court for the District of Columbia is located at 333 Constitutional Avenue, N.W., and anyone wishing to file for bankruptcy should acquaint themselves with it, as all District of Columbia bankruptcy hearings will be held there and applicable forms can also be found at the court. However, before visiting, you should have a good idea of what bankruptcy services you need and whether the service at all will be of use. You should also know in advance that one of the forms required by the government to be filled out is a certification of proof that an individual filer has completed a credit counseling program. Businesses do not qualify for this requirement, but they do need to have official legal representation while individuals can file pro se or without an attorney. • Chapter 11: This type of District of Columbia bankruptcy is best for businesses that hope to be profitable again in the future. The court helps them to hold onto their assets as a reasonable repayment schedule is created with the help of the judges and the representation of all interested parties. • Chapter 7: This form of District of Columbia bankruptcy should only be pursued by businesses who’ve lost all faith that their business could ever be profitable. They give up rights to most of their property, which is then sold by the court to be turned into liquid funds that can be given to creditors such as banks and other investors. Individuals are also often faced with the task of paying off large amounts of debt and find themselves, through no fault of their own, unable to meet those demands. It is for them that District of Columbia bankruptcy law was created, and there are several options for individuals to choose from. • Chapter 7: This popular type of District of Columbia bankruptcy is also available to individuals. As the court will do with a business, it will possess and liquidate a person’s assets so that the resulting funds can be used to pay creditors. This is a great option if you have little property but high debts, if for instance you have a big credit card bill rather than a big mortgage. • Chapter 13: Only individuals whose incomes fall below the mean for the District of Columbia or who pass a Means Test can file for Chapter 7 District of Columbia bankruptcy. Others should file for Chapter 13, where the court offers to pause all debt payments while a regular debt schedule is devised that all sides can be happy with. Payments are usually taken from the filer’s discretionary income. Income levels are also capped for Chapter 13 District of Columbia bankruptcy, but these levels are much higher than with Chapter 7. • Chapter 11: Certainly a rare option, some individuals with more than $1,000,000 in debt may choose to file the same type of Chapter 11 bankruptcy that is popular with businesses. One should be warned that individuals seeking tax debt relief through District of Columbia bankruptcy must fight an uphill battle, as most District of Columbia bankruptcy law doesn’t apply to tax debt. 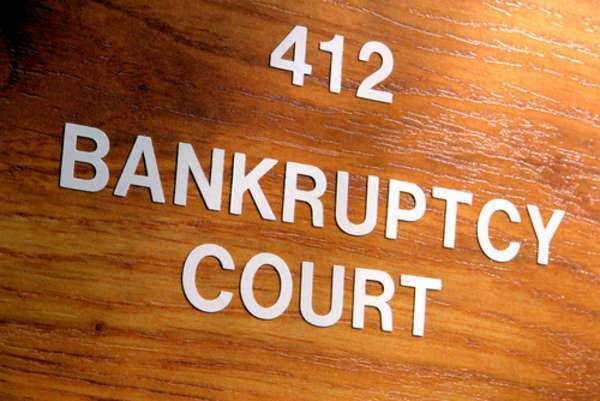 Consult a District of Columbia bankruptcy lawyer to learn more.